Happy Thanksgiving Week! Below is our dinner menu for the week PLUS our plans for Thanksgiving. 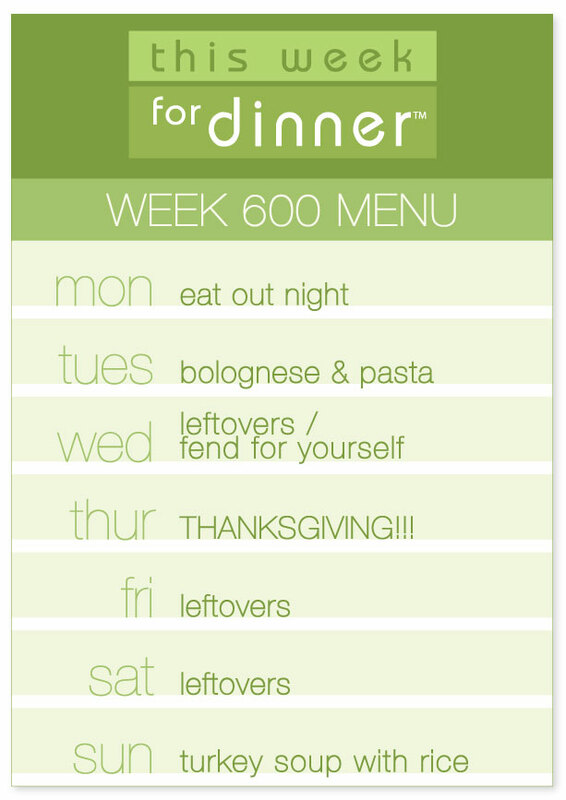 This week feel free to share your regular weekly dinner menu, your Thanksgiving menu or both in the comments! 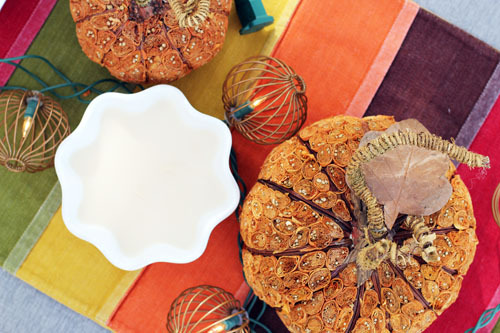 Click here or on the banner above to see all of my Thanksgiving-related content here on the blog. – Leftovers/Scrounge up whatever you can find in the kitchen, Family, as I’ll be busy cooking for Thursday! Can’t wait to see what you all have cooking this week! Thank you in advance for sharing! Oh man, I am the worst lately! But I have a good reason for not getting my weekly meal plan together yet this week…I spent Sunday and Monday cooking up a second Thanksgiving feast for the year! So, you know, I was arm deep in pie crust and mashed potatoes, making it difficult to type on a computer. Anyway, my menu this week reflects most people’s menus the week of Thanksgiving, something for which I am very grateful! – Leftovers or breakfast of eat out, whatever makes the most sense! Hopefully you all haven’t given up on me and are still there to post menus! Post away! And have a wonderful week! 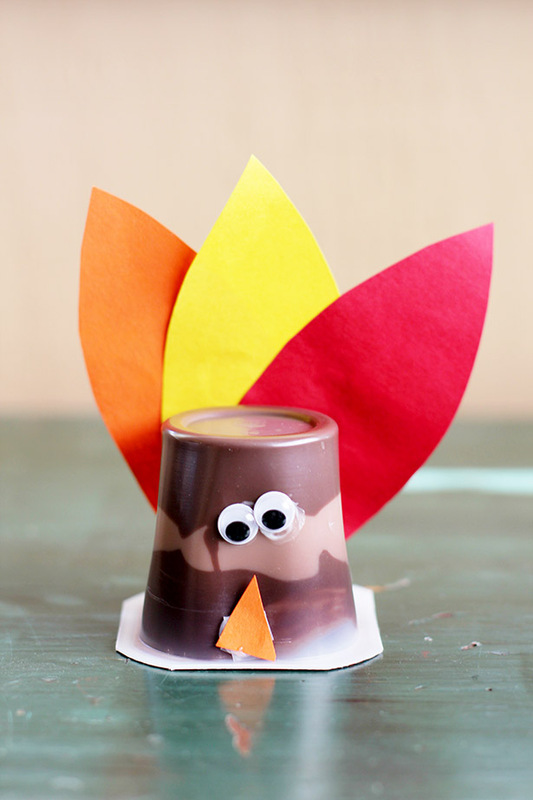 Before we take off on our Thanksgiving travels, I have to share this super cute, crazy easy Thanksgiving kids craft with you. Owen brought it home from school. 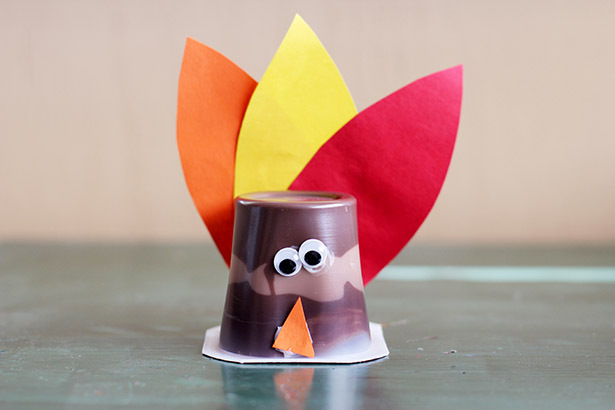 It’s so simple and so cute (and so delicious…I love Hunt’s Pudding Snack Packs for some reason!) even I would do this craft with my kids. That is really saying something. I’m like the anti-craft mom. Flip the pudding snack pack upside down. Using either a hot glue gun or scotch tape, attach the eyes, nose and tail feathers. 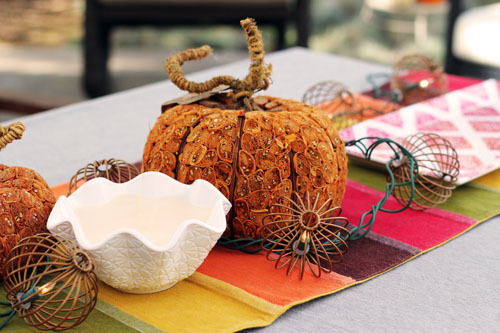 You could even have the kids make these and then put them on the table at each place setting for decoration. It will keep them busy while the grown-ups are cooking and make them feel like they’ve contributed. I never thought I would say this on the blog…but…Happy Crafting! 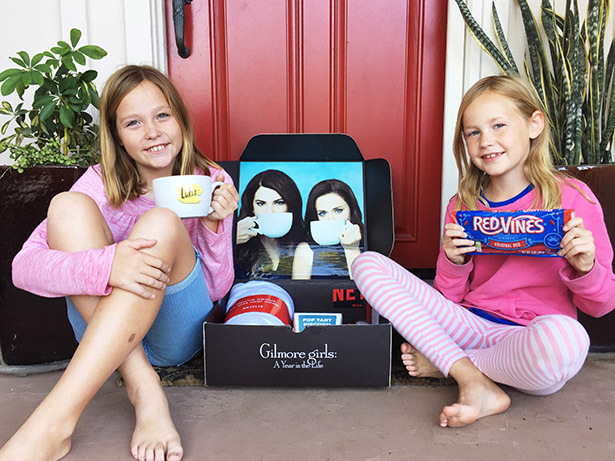 Week 513 Menu, THANKSGIVING and ‘Gilmore Girls: A Year in the Life’ is Almost Here! Happy Thanksgiving Week! I’m going old-school-This-Week-for-Dinner and doing a weekly menu post filled with all kinds of stuff. Here we go! We were originally going to be hosting Thanksgiving here at our home, but plans have changed and now we’re driving to Utah to be with family there. Which means I don’t need to plan a menu for this week because we’ll be traveling. But if YOU have a menu planned for this week, please share it in the comments! This November I’ve been feeling a lot of gratitude. Things have also been a little quiet here on the blog, on my podcast and on my social media channels. You see, two weeks ago I was in a car accident. I’m not going to get into details for now, and I am recovering very well. That said, the accident was scary and unexpected. In the end, though, it could have been so much worse and, from the moment the car came to a stop and I knew I was okay, I felt nothing but gratitude throughout the entire experience. That gratitude carried me through. And now, entering the busiest time of year, I’ve not only been forced to slow down, but I’ve also thought a lot about just how lucky and blessed I am. Instead of feeling frustrated by not being able to do more this November I’m just taking it in stride and letting it be a positive experience. Here’s to a holiday season that is less about the busy and more about the gratitude and love. That is why I haven’t been posting much or sharing any new recipes for Thanksgiving. But that’s okay, I’ve got tons of great Thanksgiving content on the blog already. If you’re looking for assistance for the big feast this week, I have some links you need to peruse! 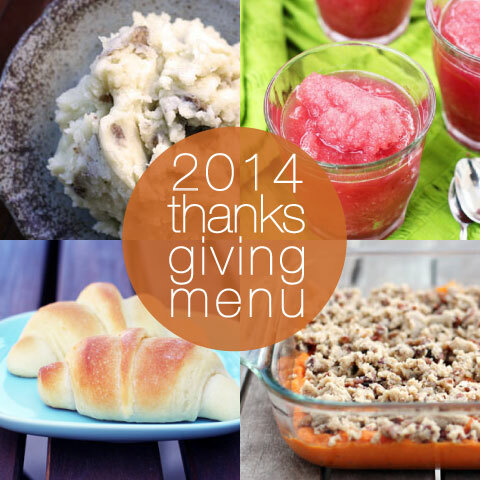 Click here to see every post I’ve shared on the blog with the tag Thanksgiving Prep. Clicking this link simply takes you to that blog category, where you can scroll through all the Thanksgiving Prep posts. I have tried pretty much every technique out there for cooking turkey with the exception of frying. Last year I finally figured out the formula for the PERFECT TURKEY. Click here for my Perfect Roasted Turkey post. 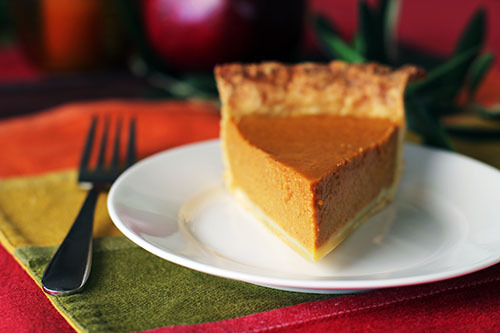 Click here for my pie crust tutorial and favorite all-butter pie crust recipe. 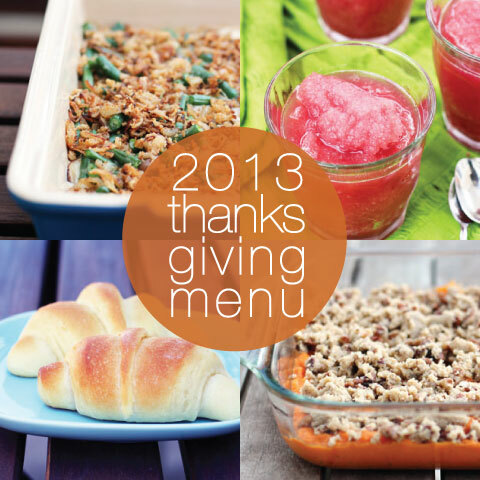 Click here for my Thanksgiving feast menu from 2 years ago. I link to all of my most favorite Thanksgiving recipes in that post, some of which I am sure I we will be cooking up at my sister-in-law’s home this year! If you have your Thanksgiving feast planned, please share that in the comments! Links to recipes always welcome! GILMORE GIRLS IS ALMOST HERE! Netflix sent me an adorable package filled with goodies to help us enjoy the new episodes. I’m still not sure if I’m going to bingewatch or spread out the new episodes, but the mailer got me and my girls watching old episodes together this weekend and it’s been so much fun. Nate is still flummoxed by the fact I can watch Gilmore Girls over and over and over again. (To be honest, I’m a little flummoxed by it myself.) Psst…I have an inside source who has already seen the new episodes. This little birdie didn’t give me any details (it’s a good birdie) but she did say that the new episodes are SO GOOD. Are you as excited as I am?!?!?! WOOHOO!!!! And with that I am DONE. I kind of love today’s post. I don’t have to plan a weekly menu (I know, ironic). THANKSGIVING! And GIMORE GIRLS! As I mentioned before, if you have a weekly menu and/or Thanksgiving plan to share in the comments, please do. And, of course, any and all discussion of the Gilmore Girls is welcome! Happy Thanksgiving Week! Happy Thanksgiving! I hope you had a wonderful holiday! Ours was beyond lovely and I woke up this morning feeling overwhelmed with gratitude. So, if you’ve ever wanted to laugh at me, now’s your chance. On Wednesday while my sister-in-law Jessica, my friend Allison and I were cooking a bunch of the food for Thursday, I dumped milk over 3 hot burners on the stovetop AND poured a bowl of cooked sweet potatoes into the sink. My crowning glory, however, was cooking a turkey upside down without realizing it. Everyone decided I can’t possibly write a food blog and must have a ghostwriter on the books. I assure you this is not true, but am wondering if maybe it should be! 😉 Every time I think about checking the temperature on the turkey breast (i.e. the back of the turkey) and the probe hitting bone and me saying, “This is so weird, it’s like there isn’t even any meat in this turkey breast, I think we got a bad bird,” I bust out laughing. Despite my apparent lack of skill on Wednesday, I was able to pull it together and, with a lot of wonderful help, we had a glorious feast yesterday! A quick note on the turkey. This year we needed a lot of food, but I decided to cook 2 12-pound turkeys instead of 1 giant turkey. I followed my friend Amy’s technique and these were the best turkeys I’ve cooked in years. I’ve tried cooking turkeys every which way and Amy’s recipe is now my favorite way to do it. I also think cooking smaller turkeys probably made a difference. I cooked one turkey on Wednesday and one on Thursday. The Wednesday bird was carved immediately and we stored the meat in the fridge for leftovers. It worked great! 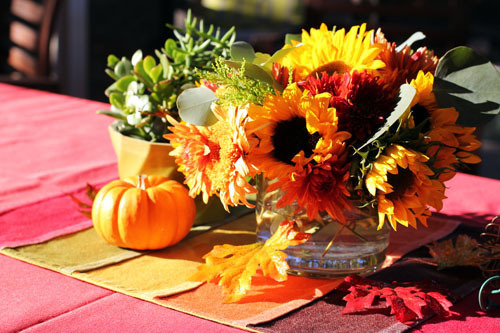 It’s Thanksgiving week – I can’t believe it! Today it’s mostly all about the Thanksgiving menu, but I’ll also share our menu for the whole week, which is pretty sparse because all the attention will be on the turkey! This year we will have Nate’s sister Jess and her family here with us for the entire week, and the Czarnecki family will be joining us on Thanksgiving. We will be surrounded by people that we love dearly and I can’t wait! Time for the Thanksgiving menu! Here’s what we’ll be having. As usual, we’re sticking with everyone’s favorite classics. As for the rest of the week…here’s the menu plan! FRIDAY – SUNDAY: Leftovers Galore! 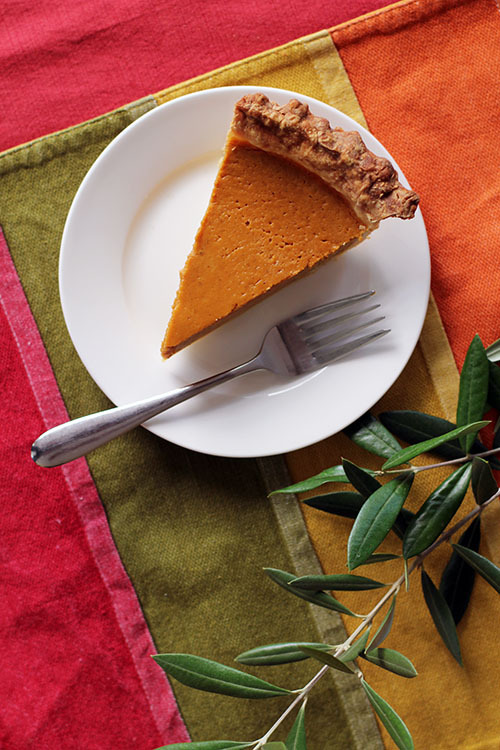 Please share your weekly menu as usual…but we REALLY want to see your Thanksgiving plans! Share, share, share! This post is sponsored by Q Squared NYC. I was recently chatting with my dear friend Amy about the holidays and she mentioned the dishes her mom used when she was growing up. Amy talked about how those dishes are firmly entrenched in her memory and that the dishes themselves are as much a part of the experience of the holidays as anything else. As she got thinking about it, she found she felt the same way about the dishes her grandmother used, too. I loved this conversation because it really got me thinking. Often when I look back on holiday meals with the family, the food is what I focus on. In fact, when I pass traditions on to my kids it’s almost always focused on the food and sharing family recipes. But I haven’t thought much about the significance of the dishes we used. After chatting with Amy I realized my experience was the same as hers, that the dishes actually played a large role. When I was very young, most of our holidays were spent with the extended family, so a lot of the memories of dishes I have are from my grandmothers. My Grandma Wallin was the type of woman who would bring china to the beach for a picnic, so you can imagine what her table would look like for the holidays. Crystal glasses (perfect for serving 7-Up! ), crystal bowls and china dishes abounded. As a young girl, I loved it. Her dishes made those family dinners feel extra special and fancy. My Grandma Blomquist had 7 children, so when that family got together it was always a large group. I’ll never forget the tall stacks of plates on the buffet table or the basket she used for her giant rolls. What stands out most, however, is the silverware. She had several sets of silverware, complete with intricate patterns. I remember helping get the silverware out of the drawer in her china cabinet (and how that drawer was always a bear to open!). We would wipe the silverware down with a towel and, when dinner was done, carefully put it all back in the drawer. Eventually we moved far from our extended family, at which point the dishes my mom used for the holidays take over my memories. My mom had a set of Christmas china that made an appearance very year at Thanksgiving and Christmas. 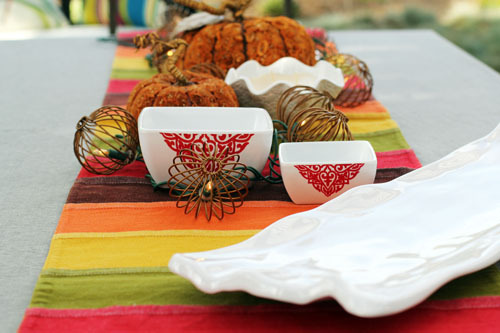 We loved those dishes and using them at Thanksgiving quite literally marked the start of the holiday season in our home. Once the holidays were over, we would scour the post-Christmas sales to find more pieces to add to the collection. Those dishes are firmly planted in my holiday memories and, to this day, whenever I see that set of dishes at a store, I am transported back in time. As I mentioned before, while I’ve always had these memories, I’ve never stopped to think about how strong they are. And, on a related note, I haven’t really thought much about the dishes I use for the holidays and whether or not my kids have the same kinds of memories. Our family is young, relatively speaking, so I’m still in the phase of collecting those dishes that will play a special role at our holiday dinner table year after year. After doing all this thinking about these particular memories, it makes me that much more excited about adding new dishes to our holiday collection and setting the table with my kids each year. I want my children to have similar memories to what I have, memories like polishing silver and pulling china down from the high cupboard. 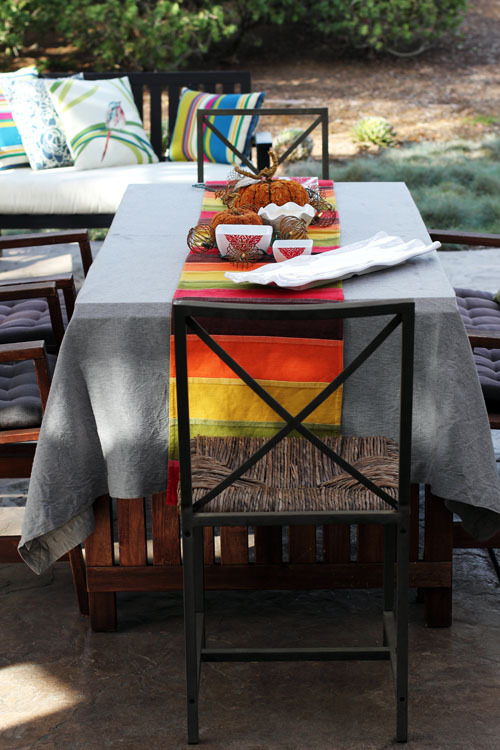 Of course I have fond memories of the food, but as I ponder those holiday meals from the past, I find that the act of preparing the table for those meals is where the strongest memories lie. Making the table special and beautiful with the women that meant the most to me in my life ended up being the times where we talked and bonded most and I will be forever grateful for those memories. I hate ending posts with open-ended questions because it feels super cheesy, but I’m breaking my own rule today because I really want to hear from you! Please tell us about your own memories! 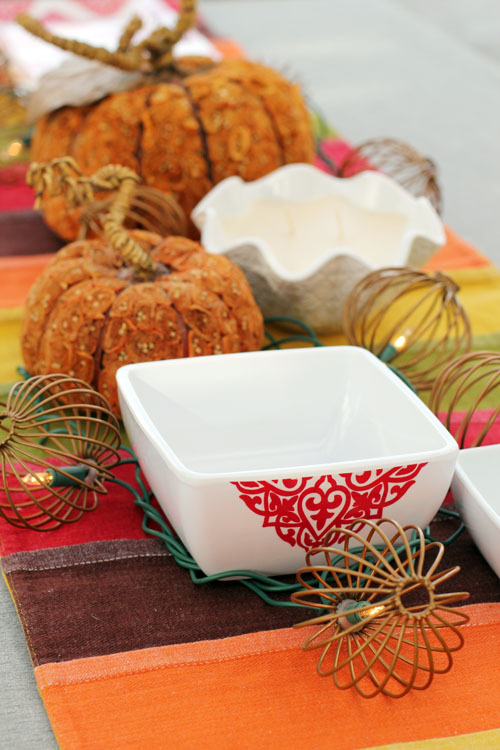 Pictured above: I’ve added some really lovely pieces to our holiday dish collections from Q Squared NYC. For Easter we use white dishes combined with serving dishes from the Heritage collection. For Thanksgiving we’ve added serving dishes from both the Ruffle and the Diamond collections, both of which are pictured above. Also pictured is the Maple Apple Bijou candle, which is the perfect scent for Thanksgiving and looks beautiful on the table, too! I have a LOT of cleaning to do, so I’m gonna make today’s Show and Tell super quick! I have two links on Babble this week – I kind of love both of these posts! As usual, please share stuff with us! Whatever you want! Things from your own blog, great stuff you found on the web this week, anything! And have a great weekend! Hi everyone! I was going to post my Thanksgiving menu on Monday, but then I was thinking, we’re all probably doing a bunch of our grocery shopping this weekend, so it’s time to get planning for the Thanksgiving feasts NOW. Let’s get to it! Here is what we are having for Thanksgiving this year. I can’t WAIT for Thursday! Dessert is still up in the air. We’re going to have a serious discussion about it once everyone is in town, but there will for sure be Pumpkin Pie and something with chocolate. And maybe makes-its-own-crust apple pie. And maybe even more than that. Who knows? It might get crazy around here. P.S. I didn’t get any cooking done ahead of time besides the cranberry sauce. So much for being organized and ahead of the game! Click here to see all the Thanksgiving Prep posts I’ve published over the years for even more inspiration. 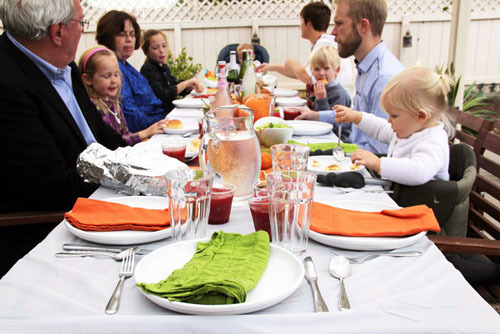 And, as always, please share your own menu plan for next week’s Thanksgiving feast! If you have recipes or links to recipes, share those, too! I love November because of the food. 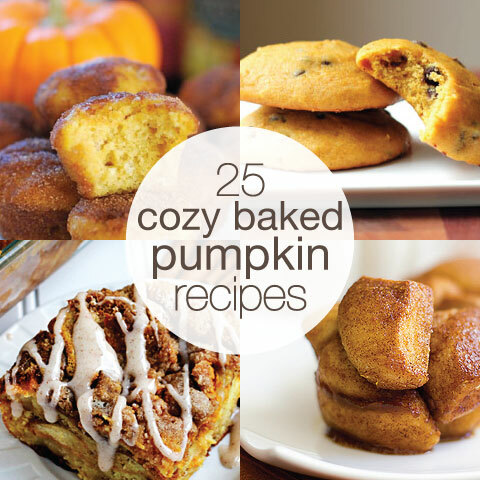 The weather is cooler, so cozy foods are in order. And it’s Thanksgiving! Thanksgiving is the best food day of the year by a long shot! I’ve been busy at Babble pulling together all kinds of fun recipe roundups and posts this week. I have to share the list of everything because there is some mighty delicious stuff in here! Phew! No wonder it was a busy week! You know the drill – it’s show and tell and everyone is allowed to share! Share anything you like, whether it’s a fun link you found, a recipe, or just something from your life!